Numerous countries suffer from a shortage of technicians and skilled workers, particularly in the STEM fields (science, technology, engineering, and mathematics), due to a mismatch between the skills and interests of the students graduating from or leaving the current education system and the needs of the labor market. 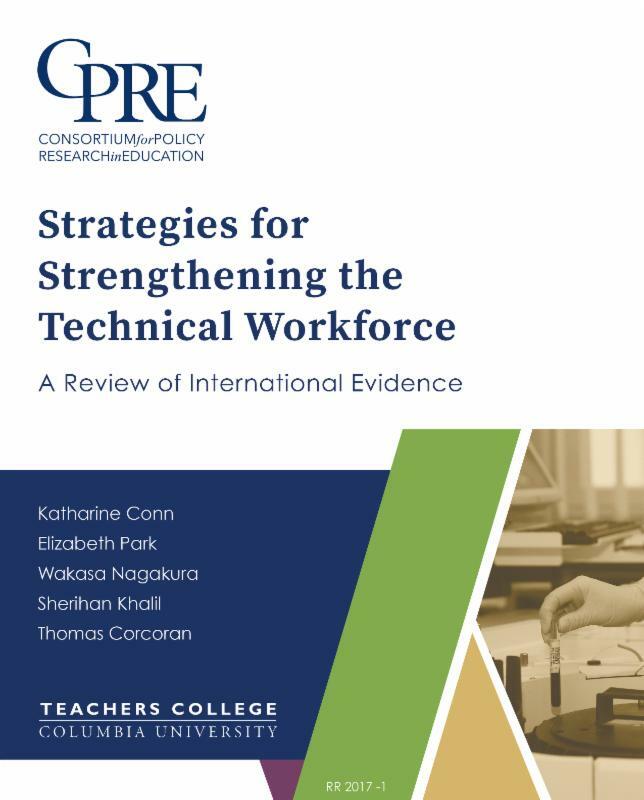 In "Strategies for Strengthening the Technical Workforce," CPRE Senior Researchers Katharine Conn and Thomas Corcoran (Teachers College), Elizabeth Park, Wakasa Nagakura, and Sherihan Khalil; embark to help policymakers develop strategies to meet workforce challenges. The authors examine research findings on strengthening skills development through various types of career and technical education, and strategies to increase access to this type of programming.